The company is leveraging its leading position in renewable energy to become the biggest solar energy producer across America. The company’s vision is to roll out cutting-edge technologies that would be generating 67% more cleaner energy than the average US electric firm by 2030. The Florida Power & Light Company (FPL), a Florida-based power utility firm, has reportedly announced the launch of its ambitious 30-by-30 plan under which it intends to install over 30 million solar panels across Florida. Reports cite, with the groundbreaking 30-by-30 plan the company, which is already a major player in solar energy, plans to consolidate Florida as a leading producer of solar energy in the world. According to a report by South Florida Sun Sentinel, the company has already secured solar sites throughout the state to construct the solar energy centers. 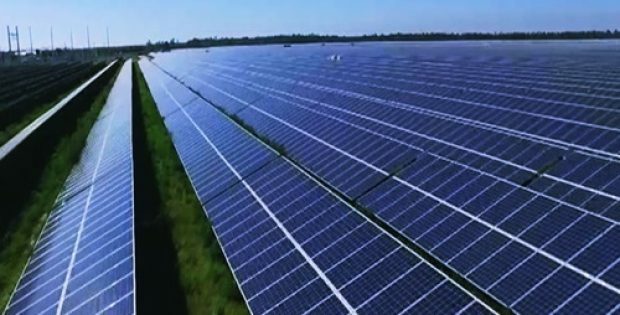 The sites would also include two 74.5 MW solar power centers located in Palm Beach County, each equipped with more than 310,000 solar panels. The program would be boosting solar energy to approximately 20% of the company’s energy mix by 2030. The plan would be capturing economies of scale & also promote the development of a cost-effective and efficient solar generation. The outcome would be the biggest solar panel installation by a regulated utility across the world and a 67% fleet-wide carbon dioxide emission reduction by 2030 in comparison to the national average. The President & CEO of FPL, Eric Silagy stated that FPL isn’t a conventional electric company, it is more of a technology company that supplies power and has long-believed in making intelligent, forward-thinking infrastructural investments to create long-term tangible benefits for the customers and the state. Silagy further stated that the company is taking its long-standing commitment of clean energy to the next level. The company looks forward to working with state & local officials and company regulators to turn the vision into a reality. According to reports, the financial information related to the company’s 30-by-30 plan has not been unveiled yet.